If you’re a Toronto website designer then chances are you’re pretty busy with what you do. Web designing is probably one of the biggest growing industries in the market today and with good reason. Where architects plan the look and feel of a building, web designers plan the look and feel of a website. It is also highly possible that you are a coder as well as a designer, in which case you could also compare yourself to an engineer. Tip # 1: Learn how to code – Alright, there’s obviously been some controversy around this topic and there has been a lot of back and forth from different web personalities. 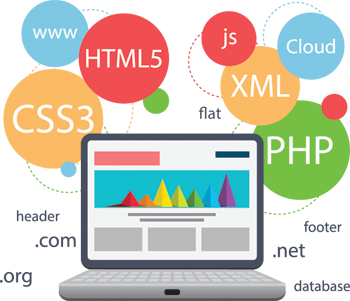 The point is that it is going to be hard for you to truly be able to understand how your website should work without a coding background. As a designer it will be easier for you to understand the limitations that your developers work with if you don’t know code. Tip # 2: Have a good planning process for your clients. You may know what’s going on in your head but your clients don’t. Use a wire frame program to make sure your clients understand what their website is going to look like. Tip # 3: Invest in good software. There are ample amount of open source programs for all kinds of stuff nowadays but you have to choose the one that works for you. If you code, Dreamweaver is a great example of good software; however you could also do just as well with Aptana Studio. There are many different ways to go about with your designs and coding. You have to remember though that you also have to stay in tune with the business and process outside of designing. On the other side you could also be a middle man and pay for another website design Toronto company to get the work done for you.